We also hired them a 25 tons Marchetti Sherpina telescopic crawler crane and Giken CB2-5 7 tons clamp crane. The clamp crane walks along the piles following the Giken as it advances making it ideal for working in restricted access sites. 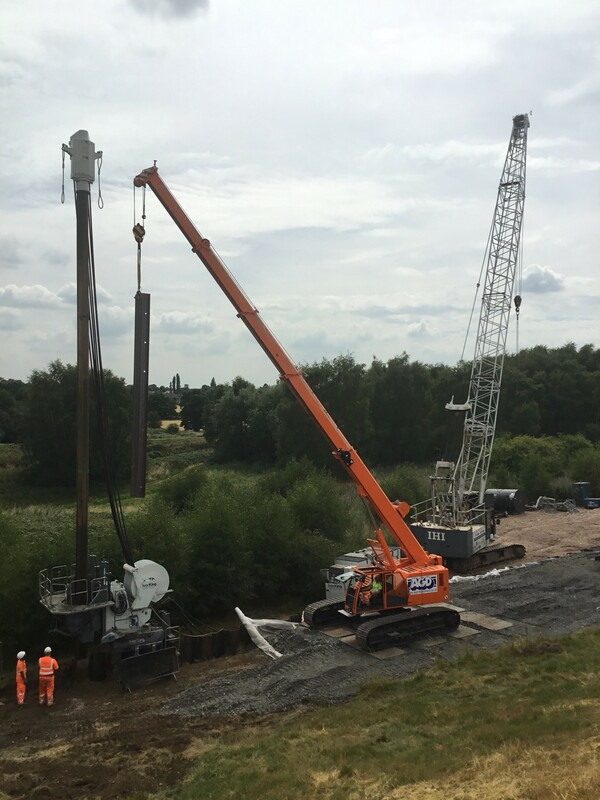 In this case the restriction was working weight so the telescopic crawler crane was switched to the clamp crane as the works progressed.